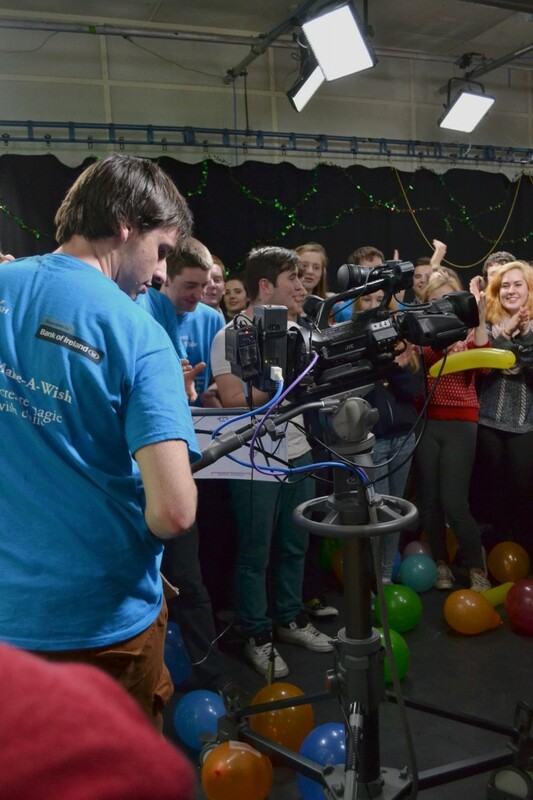 Over €5,000 was raised for charity by DCU’s Media Production Society through their latest 24 hour broadcast. The broadcast, which took place on December 6th & 7th, saw MPS smash through their original target of €4,000 before the broadcast ended. Late donations further increased the figure. Funds raised through the broadcast will be donated to the Make a Wish Foundation, a charity that grants the wishes of seriously ill children. The society doubled the amount of money raised during last year’s broadcast, and it placed number one in Ireland’s top Twitter trends on the night. Chairperson of MPS Niall Farrell believes the success of the broadcast is down to an excellent public relations campaign, including an Anchorman parody video that went viral. “Press releases about the broadcast went out to regional papers all across Ireland and also, the Anchorman video that we made to promote it got 33,000 views and appeared on TV3 and 3e. I think it was put out there from early on which is what we were trying to do,” he said. 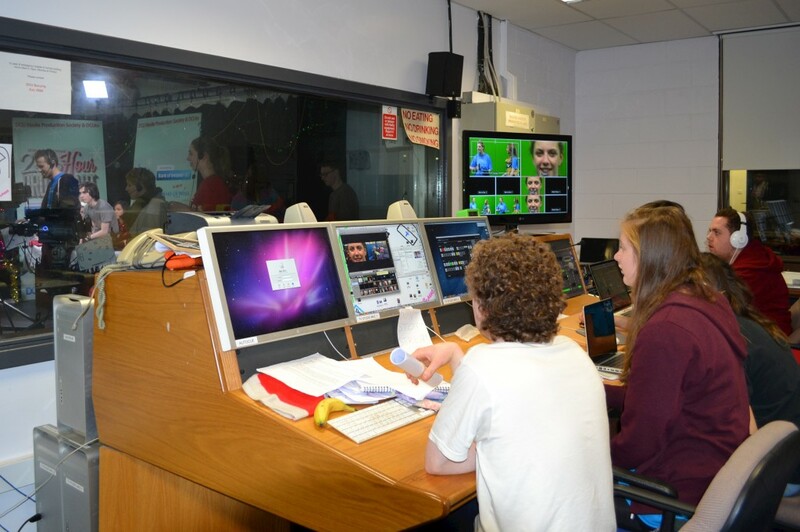 The broadcast aired for 24 hours without pause from 10pm and ran smoothly without any technical faults. A variety of different shows were broadcast including news, cookery and dating programmes. 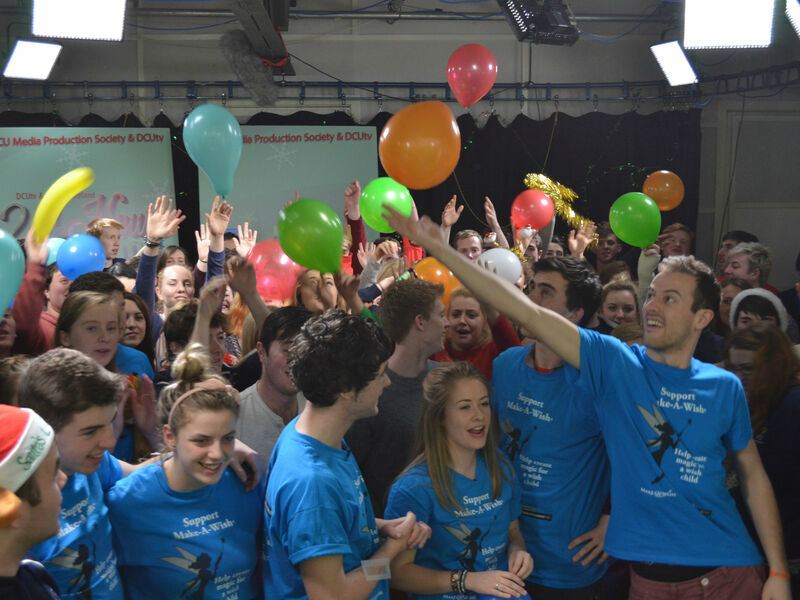 The broadcast’s flagship show this year was DCU’s own version of the X Factor. Viewers were able to get involved and vote for their favourite act through Twitter, and it was The Santry Sisters who gained the most votes to win the competition. Have a listen to some of the highlights here.